100 years ago today was the October Revolution in Russia. It was, quite possibly, the most important single event of the 20th century. Without the October Revolution, there is no Stalin. With no Stalin, it's possible that many western powers would not have seen Hitler as the lesser of two evils (the French right wing, as Hitler marched on Paris, shouted "Better Hitler than Blum!" in reference to the Democratic Socialist -- and Jewish --President of France). Without the Soviet boogeyman, there's no justification for Vietnam, for the CIA-backed coups in Chile, Guatemala, and Iran, for the American training of neofascist Central American death squads. Without those, there's no Ayatollah Khomeini, no General Pinochet, no Che Guevara and Fidel Castro. There's no need to arm the mujahideen to fight the godless commie invaders in Afghanistan, there's no backing fundamentalist Islam as an anti-communist alternative. Without this divine cause to fight for, the founders of al-Qaeda never meet, and the towers never go down. Without Stalin, there's no need for a show of massive force in Japan. There's no need for an atomic bomb. There is certainly no need for an arms race and a space race, no need to get to the moon by the end of the decade. Without this fear, the fear of bombs and lasers shot from satellites, there is likely no serious funding for NASA, no real space exploration. There's no Red Scare, no McCarthy or his acolyte, Richard Nixon, there's no Truman Doctrine, no napalmed villages and cluster bombs and Khmer Rouge. There's no The Spy Who Came in From the Cold, no Red Dawn, no James Bond, no Dr. Strangelove, no The Day the Earth Stood Still. It is, of course, reductive to trace history back to a single day -- events both before and after might have gone differently, and none of this was inevitable. You could make a very good argument that the actual fire started with the assassination of Archduke Franz Ferdinand, but there would be an event before that and an event before that. It was, as the poet William Joel says, always burning since the world's been turning. But in St. Petersburg, on October 25th of 1917 (November 7th by our calendar), something impossibly immense happened. And we've never fully grappled with it. The history of the Russian Revolution is not taught in American schools, and when it is, it's usually misrepresented. There is currently a documentary on Netflix (simply called The Russian Revolution) that suggests the whole thing came down to a personal grudge that Lenin had towards the Tsar, which is just fundamentally stupid -- the revolution was a mass movement resulting from centuries of oppression and hardship. Individuals were able to influence its outcomes, but no one man dictated its course. If you're a leftist and you're interested in the history, I'd suggest picking up China Mieville's October, released earlier this year in preparation for the Centennial. The left has never fully grappled with the Russian Revolution -- it has never dealt with the fact that the Revolution, initially so full of promise, got hijacked by thugs and bureaucrats, and that the resulting totalitarian regimes caused the death of millions. When the Soviet Union collapsed in the early 90's, the right wing -- especially the capitalists -- were able to claim "the End of History." Capitalism won. Communism lost. There are no more stories to tell, there are no alternatives, just endless prosperity. Now, 26 years after the collapse of the USSR, it's clear that history has not stopped, and that capitalism, while fun and enriching for a select few, also happens to be turning our planet's atmosphere into a slow cooker, and is filling up our oceans with plastic. Poverty has not ended, war has not ended, all are not equal, all are not free. It is time for a return of the left. But there is one thing still looming over us: October. We can still learn from it. 1. The revolution happened spontaneously -- after decades of activism and organizing. In 1917, there were two revolutions: the February Revolution and the October Revolution. The first deposed the tsar, whose family had ruled Russia for over 300 years. The tsars reign was a brutal one -- massive swathes of the population lived as serfs (only a slight step up from slaves) until the 1860s, and any political unrest was met with ruthless repression. Because of this repression, peasants and serfs grew to hate the tsar, making Russia a popular place for radicals. Anarchists like Peter Kropotkin, Mikhail Bakunin and Leo Tolstoy became popular figures, and socialists found a fertile recruiting ground. In January 1905, a mass of workers, while trying to deliver a petition to the tsar, were fired upon by tsarist troops. Up to 1000 people died, the day became known as "Bloody Sunday," and massive social unrest followed. The socialists were led by a rabble of charismatic men who had given names and political names -- there was the fiery orator Vladimir Ulyanov (better known as Lenin), there was the bookish, charming Julius Martov, Lenin's friend and, in many ways, opposite, and there was the eloquent, brilliant Jewish writer and theorist Lev Bronstein (better known as Leon Trotsky). The socialists formed a democratic workers council called a soviet, led by Trotsky, and began organizing mass strikes across the capital of St. Petersburg, but after a couple of years, the uprising had been effectively suppressed by the tsar, with 15,000 dead. Many of the leaders of the revolution had to flee the country, and were demoralized by their failure to depose the tsar. In Russia, the nationalist groups that had been used to fight the socialists began attacking their favorite scapegoats, the Jews, and killed up to 4,000 people. Lenin, now in exile, said in a 1917 speech, "We of the older generation may not live to see the decisive battles of this coming revolution." But Russia's peasantry had been radicalized, and the repression of the 1905 Revolution was not popular. Over the next decade, Russia would enter the horrific, destructive World War I, and the tsar would become increasingly isolated from his people. In January 1917, workers in St. Petersburg went on strike in honor of the 12th anniversary of Bloody Sunday. More strikes followed, in spite of the threats of a police crackdown, and the factory bosses made a huge mistake -- they locked the workers out of the factories, putting them, all riled up, onto the streets. On February 23, 1917, rallies were held in honor of International Women's Day. No one planned it -- but the rallies turned into an uprising. And the soldiers who were ordered to put down the revolution, tired of war, tired of the tsar, refused. In early March, the tsar was forced to abdicate. Unlike the October Revolution, which was more closely resembled a coup d'etat, the February Revolution was a mass, organic uprising that took down a 300 year dynasty. But it would not have happened without literally decades of planning, failure, and death. Many who did the work of the revolution did not, as Lenin said, live to see it. 2. Revolution is easy -- governing is harder. From February 1917 to October 1917, Russia was ruled by a provisional government. The government was thrown together hastily, and was run by popular socialist Alexander Kerensky. Kerensky was not a revolutionary in the way Lenin or Trotsky were, but he was popular, and he was willing to work with the ruling class to transition towards a political system where more power was given to the soviets, which at the time, were totally open and democratic. But Kerensky had an impossible job -- the workers and radical socialists were calling for "All power to the Soviets!" while the military was threatening a coup. Lenin was also calling for an immediate end to the war, which was obviously a non-starter for the ruling class and the military brass. It was only through the power of his charisma that he was able to keep things together for so long -- and eventually, the radicals grew to hate him as a man willing to compromise with the tsarists, while the military started to suspect it didn't need him at all. Eventually, a General named Kornilov attempted to overthrow the provisional government. The coup was stopped, but Kerensky lost a huge amount of support as a result -- he'd been trying to compromise with the military, and the military had stabbed him in the back. During the coup attempt, Kerensky also had to arm every socialist to stop the advancing troops -- which meant that the Bolsheviks were now popular and armed. Kerensky no longer had the people at his back, and he no longer had the military. His coalition had collapsed, and there was a power vacuum. In October of 1917, the Bolsheviks seized power in an almost bloodless coup. The provisional government was dissolved, and Lenin declared the world's first ever socialist republic. What would follow was a bloody, 5 year civil war. At the end of that war, Lenin would be near death. During the years in exile, Lenin had allied with an amoral thug by the name of Ioseb Jughashvili, who used robberies and kidnapping as a way to raise money for the party's papers and activities. Jughashvili went by the political name of Joseph Stalin, and would emerge at Lenin's death as the most powerful man in the country. His main rival, Trotsky, had ignored him for too long, believing him to be no more than a dumb brute, and not worthy of Trotsky's time. "In any case, if Europe continues to be ruled by the imperialist bourgeoisie, revolutionary Russia will inevitably be lost. There are only two alternatives; either the Russian Revolution will create a revolutionary movement in Europe, or the European powers will destroy the Russian Revolution." The latter is what panned out -- Germany, the only other place that may have fallen to revolution, cracked down hard on its socialist movement, and government-backed paramilitaries executed many of its leaders, like Rosa Luxemburg. The global revolution never happened. And Stalin was no ideologue. The man just wanted power. So he instituted "Socialism in One Country," which, to many leftists, was a contradiction in terms, but which allowed him to ally with other non-communist countries (like fascist Germany) since he was no longer actively working towards their overthrow and global revolution. He murdered anyone who opposed him, or he drove them out of the country, and in the 30's he built the thuggish kleptocracy that we all grew up knowing as the USSR. On the night that Lenin declared the victory of the people in October 1917, many were celebrating -- revolutions are cathartic and liberating. It is the collapse of the old and the beginning of the new. But Lenin himself would almost immediately start undermining the revolution by cracking down on dissenting voices, and what Lenin started, Stalin would finish. In just a few years, the Revolution would be dead in all but name. In the St. Petersburg assembly, only one man seemed to recognize what the Bolsheviks were abandoning when they tossed the power-sharing provisional government aside, and declared compromise was no longer necessary. It was Lenin's old friend and rival, Julius Martov. "One day you will understand," he said to the Bolsheviks as he stormed out of the assembly, "the crime in which you are taking part." 3. Violence is not our friend. For those of us who believe in things like justice, equality, and freedom, there's a fundamental problem with resorting to force to settle our differences: it's that morality does not play a part in the use of force. If you get into a fistfight, the strongest fighter usually wins. There are sometimes upsets, and there are certainly ways for a weaker person to use technique and strategy to their advantage, but the moral correctness of what you're doing does not play much of a role. Morality, in games of force, is often more of a liability than an asset. The Russian Revolution is a pretty horrifying example of this. In the power vacuum left by the collapse of the tsarist government, left by the civil war and the death of Lenin, the man who came out on top was not the man with the best ideas, it was the man who took the time to consolidate power. Nonviolence is not just a moral stance, it's also a strategic one. 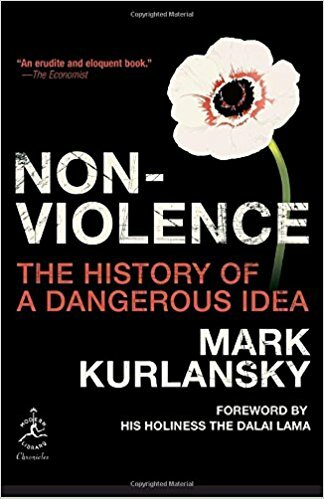 In Mark Kurlansky's book Nonviolence: The History of a Dangerous Idea, he mentions that even Gandhi, the world's most famous practitioner of nonviolent protest, didn't think of it as 100% essential: "Violence is any day preferable to impotence," Gandhi once wrote. "There is hope for a violent man to become nonviolent. There is no such hope for the impotent." Rather, nonviolence was seen as an obvious tool for a subjugated people going up against a far greater power. If you can't fight and beat your enemy in terms of sheer force, then you need to force them to play a game you have a chance of winning at. If you refuse to fight them and they end up beating you in the street, tear-gassing you, sicking dogs on you, or spraying you with firehoses, then they are likely to lose any sense of moral high ground among their supporters, and will be undermined in that way. If Gandhi or Martin Luther King, Jr., had decided on armed revolution to achieve what they wanted, they likely would have lost, and the cost would've been so great that it would've changed who they were. What happened in Russia was a perfect example: when the revolution fell into civil war, the most powerful, amoral elements came to power. Even the supposedly ideologically pure among the Bolsheviks took part in suppressing dissent. There's a great scene in Warren Beatty's Reds, where John Reed says to a bureaucrat who'd censored his speeches: "When you purge dissent, you kill the revolution. Revolution is dissent." The issue with the use of force is that it makes dissent impossible. A divided country cannot effectively go to war. Even in America today, this is true -- the biggest political taboo in our country is questioning the wars we're involved in, which is often reframed as "disrespecting our troops," or being "anti-American." Even in the midst of one of the most polarized political environments in American history, almost no one of any real political prominence is questioning whether the war on terror, now in its 16th year, should maybe start wrapping up sometime soon. Resorting to violence, then, has two major issues for today's left: first, the people we're up against have more military power than us. So confronting them with violence is just bad strategy. And second, violence distorts who you are. It forces you into situations where you will, inevitably, have to make moral compromises. When the Soviets celebrated their revolution, they celebrated October and not February. But February was the real democratic uprising -- and the provisional government, while deeply flawed and likely doomed from the start, was a fairly noble attempt to try and unite all the factions that eventually would tear the revolution apart. This factionalism is impossible to get around in reading any history of the revolution. The main rift in the Russian Social Democratic Workers Party was between the Mensheviks, led by Martov, and the Bolsheviks, led by Lenin. Those names literally mean "minority" and "majority," and the initial split was over a fairly trivial technicality. The Mensheviks were further divided into nationalists and internationalists, and there were other, unattached factions of the RSDWP like the Mezhraointsy, which Trotsky initially belonged to. Then, there were the Socialist Revolutionaries, of which Kerensky was initially a part, which were divided into right and left wings. There were anarchists, there were the bourgeois cadets, who wanted a reformed government more closely resembling the US or the UK, and there were parties belonging to specific unions or trades. "At Monte Pocero, when they pointed to the position on our left and said: 'Those are the Socialists'... I was puzzled and said: 'Aren't we all Socialists?' 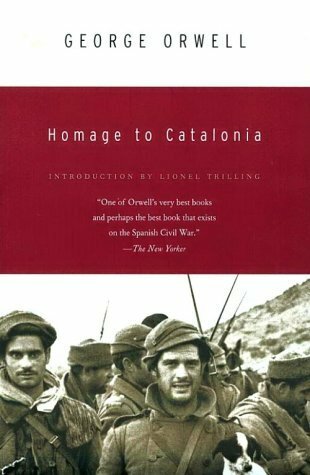 I thought it idiotic that people fighting for their lives should have separate parties; my attitude always was, 'Why can't we drop all this political nonsense and get on with the war?'" This tendency to splinter was fostered and exploited by people like Stalin. Stalin used an atmosphere of paranoia to get people to inform on each other, to pit former allies against each other, and to effectively undermine any of his serious opposition. A favorite tactic was to accuse groups he didn't like of being "Trotskyist." Stalin despised Trotsky, and blamed him for being an double agent working for the fascists. Anyone who was a Trotskyist, then, was a mole, a scab, a spy. Likewise, when the Bolsheviks launched their coup and declared that they were now in charge, they had no choice but to either walk that back and allow compromise, or brutally consolidate power and, ultimately, undermine the entire revolution. Homogeneity is the great strength of the right wing -- they can easily present a united front, because they typically find unity in an ethnicity, class, or nation. The left has to learn to make diversity its strength, and must learn to unite in favor of the common interest, or it will always be doomed to fail. 5. Change comes fitfully. Forcing it isn't worth the human cost. It would be a mistake to say that the Russian Revolution was inevitably going to end with Stalin. But it was very probably doomed from the start. The chaos of revolution is almost always, in history, followed by a pendulum swing towards law and order. And the worldwide revolution that Lenin and Trotsky believed was essential for the revolution's survival simply never came. Revolutions are rare historical moments when everything is suddenly tossed up into the air, when old structures come tumbling down, and individuals can suddenly have a disproportionate impact on how things turn out. They are euphoric, chaotic, and terrifying, and real and substantial changes can come from them. But they are never the gateway into a brave new world that we imagine they will be. Make the changes you can now. Help the people you can now. Do the boring, unsexy work now. If you wait for the revolution, it will never come. If you refuse to wait, then it is already here. Featured photo by Jorge Lascar.